David McCormack did not share his toys well as a child. Obviously. As I mentioned during the OSU game. 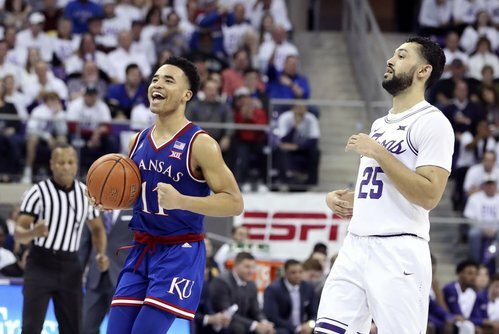 The worst thing for Big 12 teams is the game getting easier for Devon Dotson. Devon Dotson with 25 points, Agbaji with 20. Great minutes for K.J. Lawson tonight. 10 points, 3 bounds and a couple of HUGE buckets. 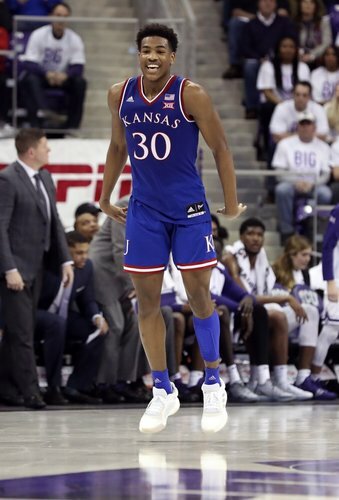 Ochai Agbaji finished with 20 points, 11 rebounds, 1 assist and 1 steal. In the last 2 games - he has a total of 1 turnover. 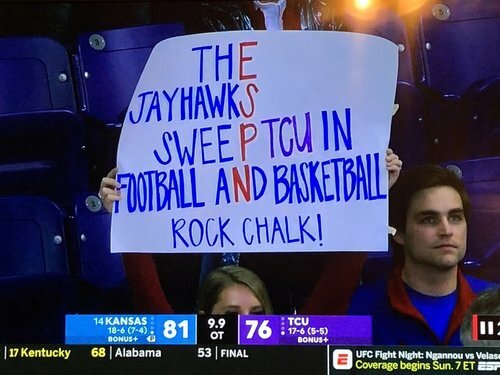 Deadline was crazy with that OT, but, in case you haven't seen it yet, #KUbball held off TCU 82-77 in OT to grab their 2nd road win of the season over TCU..
Can't say enough how big this win tonight was for #KUbball — A loss would've hurt no matter what. A loss after blowing a 12-point second-half lead and melting down in the final 5 minutes of regulation could've been disastrous. Toughness win for KU. No doubt. Unbelievable how we can go braindead at the end of games like this. 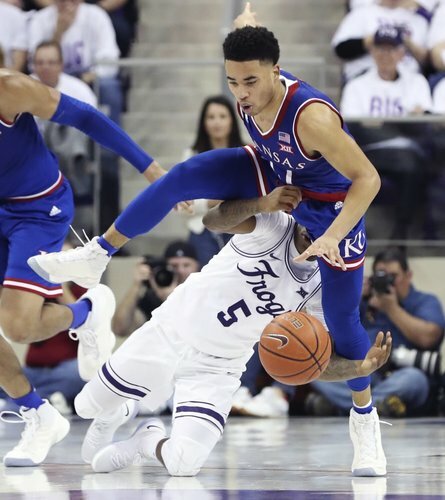 Dang - can the dude get a foul called? I told you the trap was set early!!! Self said that was the best locker room #KUbball has had all year "by far." Even bigger than wins over Tennessee, Michigan State, Villanova, etc. Getting over the road hump had a lot to do with that. VIDEO | “That’s the best locker room we’ve had all year by far."